You know you love those Pandora beads and charms, but now there is something even cooler to love about Pandora! They are giving away a Pandora Tote Bag for FREE! YAY! Stock up on your favorite Pandora beads and charms this week – July 20th – July 29th. When your purchase total reaches only $125, you will receive the Pandora Tote Bag absolutely free (a $45 value)! If you go over the $125 minimum then keep shopping because you are allowed to receive up to 3 totes for your friends, too. Pandora doesn’t want anyone to feel left out. The Oceanic views collection helps you color coordinate with the greens and blues of the oceans. There are delightful designs full of your favorite characters of the oceans like adorable fish, turtles, starfish, and dolphins, all embellished with sparkling stones and sterling silver. As you know, the oceans are never boring and Pandora has embraced this in their new charm collection. The Tropical Sunset charm is a pretty beach scene with a splash of pink and orange. This new Pandora charm doesn’t stop with a little color, it has numerous cubic zirconia stones embedded in it to give your bracelet some pizzazz. 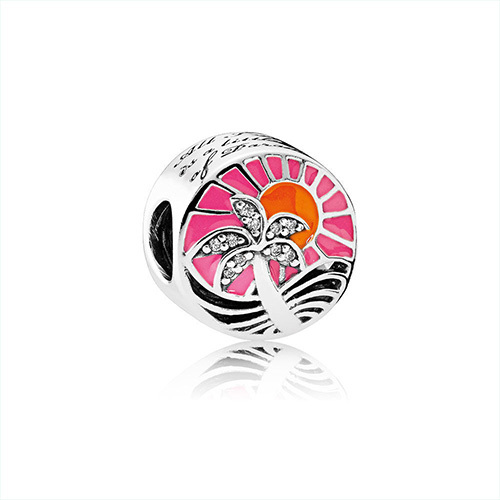 Remember your best memories of the evenings on the beach with this new bead for your Pandora bracelet. Ben David Jewelers is an authorized retailer of Pandora. Any special that the Pandora company is running is always available at Ben David Jewelers. They make it a point to stay well stocked in all of your favorite Pandora collections and anything that is new. 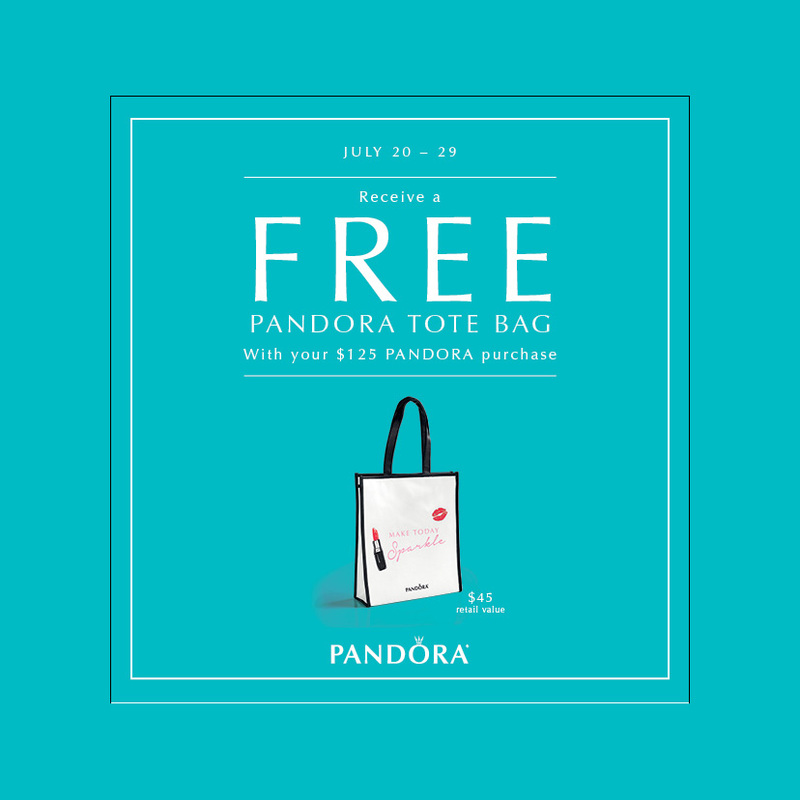 Stop by between July 20 – 29, 2017, to get your free, genuine Pandora tote bag when your charms purchase is $125 or more. We hope to see you soon!